Chris Partridge reports that the folk of Tuebingen race battling punts powered by hand-paddling. And then they drink beer or cod liver oil, depending on whether they’ve won or lost. This is just the kind of harmless activity healthy young blokes should be allowed to enjoy, and it would be good to see something similar caught on in Manchester, Birmingham or at Camden in North London. Of course, I’m far too old for this sort of thing myself, particularly the cod liver oil part! More seriously, has anyone else noticed that these boats bear an uncanny resemblance to the kinds of boats many people would expect Phil Bolger or Jim Michalak to design for the purpose? Read what Jim has to say about seas of peas. Read all about these crazy, happy Germans at Rowing for Pleasure. I was very pleased today to find this description of how Captain R F Wykeham-Martin built a sailing Thames punt. It comes from a splendid collection of Thames-related material provided by Where Thames Smooth Waters Glide, an informative site sponsored by the River Thames Society. By the way, if the name Wykeham-Martin is familiar, it’s because this great gentleman also devised the widely-used foresail furling gear still known by his name. If you’re at all interested in the Thames, check out the source of this material, Where Thames Smooth Waters Glide, which has links to many fine on-line books, including the stunning Our River by George D Leslie. 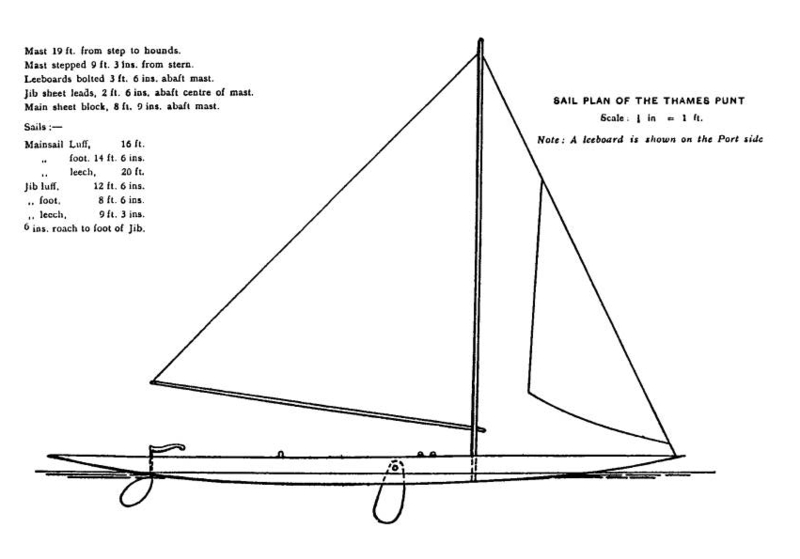 For more intheboatshed.net posts on Thames-related matters, including plans for a Thames skiff and a racing punt, click here. I was thinking today about the Beale Park Boat Show of 2005, and it occurred to me that some of you might be interested in some of the photos I brought back. Chuck Leinweber posted some of them on his excellent Duckworks e-magazine for small boat enthusiasts. Back in 2005, why the photo of a shed at a show full of elegant boats? It’s Mike Smylie’s shed for smoking fish in his role as The Kipperman, his alter ego on a mission to convert us all to eating hand-smoked fish. They taste so good he might even win the battle one day.